He's the pitching phenom that's captivated the entire league with his triple-digit fastball and striking resemblance to a particular superhero from Asgard, but New York Mets ace Noah Syndergaard will be getting knocked down a peg or two this weekend - into gnome form, that is. The first 15,000 fans in attendance at Citi Field during Saturday's matinee game against the San Francisco Giants will receive their own Syndergaard-en gnome, which details Thor's trademark hammer in one hand and baseball mitt in the other. The Boston Red Sox and New York Yankees will meet at Fenway Park for two top-priced games while the Chicago Cubs and Minnesota Twins make the cut with their own promotional items through the end of the week. With Syndergaard getting the start against the Cincinnati Reds on Monday night, he'll be in line to pitch during his gnome giveaway on Saturday afternoon. The average price for New York Mets tickets on the secondary market for Saturday's game is now $199.92 and the get-in price starts from $55. Expect Thor to bring the hammer, but don't count the Giants out just yet. After all, it is an even year. The most storied rivalry in baseball will write its next chapter this weekend as the Red Sox set to host the Yankees for a three-game series between Friday and Sunday. The average resale price for Red Sox vs Yankees tickets on Saturday is now $173.87 and the get-in price is $72. 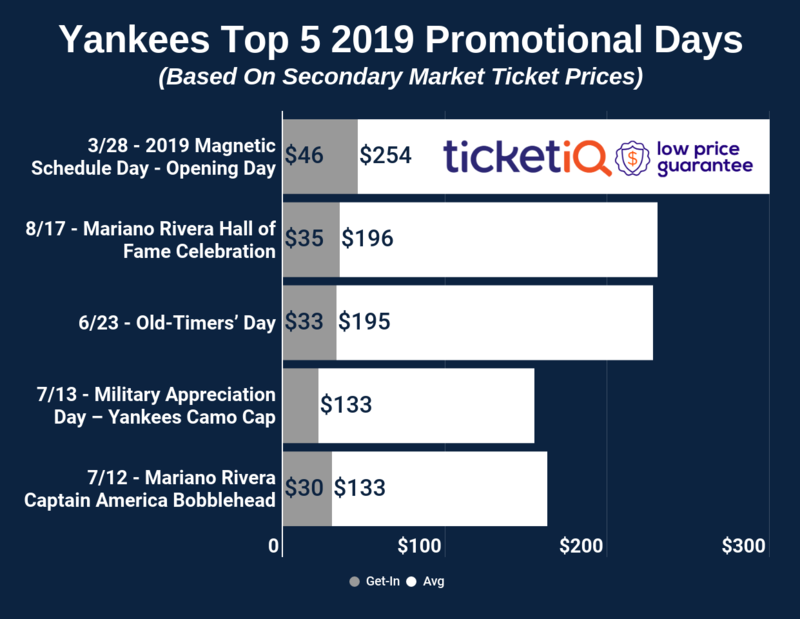 Interestingly enough, it will among the cheapest Red Sox-Yankees games at Fenway Park this season behind Friday's game and a May 1 meeting ($121.20 avg./$47 get-in). The opening game of the series on Friday night serves as the third most expensive game this week. Friday Red Sox vs Yankees tickets now average $150.98 and the cheapest ticket available is listed from $62. The Cubs have played considerably well over the first three weeks of the season, and fans will have added reason to attend Saturday's game against the Atlanta Braves. The first 10,000 early arriving fans will receive a replica statue of Hall of Famer Ron Santo. Chicago Cubs tickets on the resale market against the Braves on Saturday now average $131.95 and the get-in price is $45. Rounding out this week's top games list is a Saturday game between the Twins and Detroit Tigers at Target Field. The first 10,000 fans in attendance will receive a Twins Fur Bomber Hat Giveaway. The average price for Minnesota Twins tickets against the Tigers is now $85.22 on the secondary market. Those looking to just get in can find tickets starting from just $25.